Maple and toasted walnuts are the stars in these low carb Maple Walnut Scones. Their warm and comforting flavor comes just in time for Fall. We all work really hard and we deserve a day to recognize our accomplishments, do we not? Today is also the un-official last day of Summer, with the official day being on the 22nd. I’m going to proclaim it “close enough” for posting Fall treats and desserts! After posting the recipe for low carb chocolate chip scones last week and being reminded of my favorite all time scones, the maple oat nut scones from Starbucks, I thought I would make my own low carb version — maple walnut scones, sans oats. This is basically the same recipe as before except that I subbed chopped, toasted walnuts for the chocolate chips and made a maple glaze. 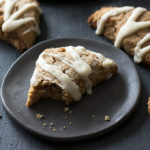 They are every bit as good as the chocolate chip scones and even more suitable for Fall with their delicious maple flavor. Although I freely admit missing the coarse cut oats from the original Starbucks version, these were a hit with the family and perfect with a cup of coffee! 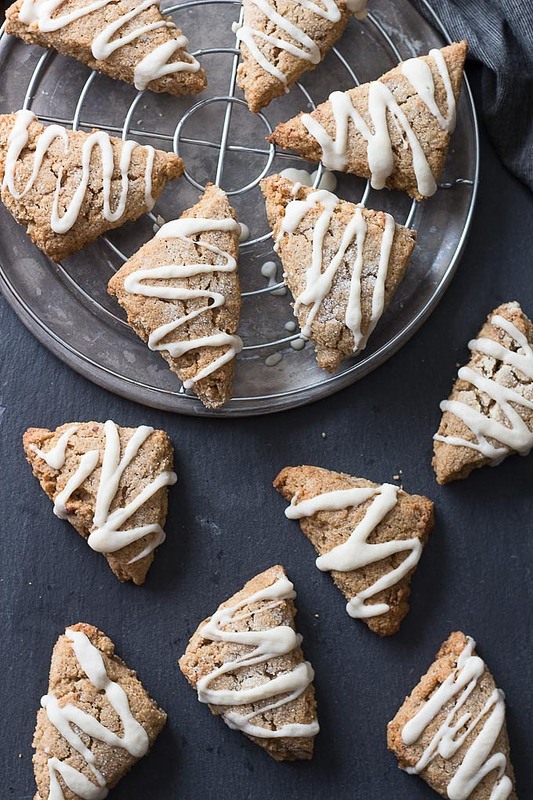 These sugar-free scones are just as good as any “regular” scone and healthier. Each Maple Walnut Scones is 3 net carbs! Maple and toasted walnuts are the stars in these low carb Maple Walnut Scones. Their warm and comforting flavor comes just in time for Fall. 3 net carbs each. Preparation: Preheat the oven to 350 and place the rack in to the middle position. Line a large baking sheet with parchment. Toast the walnuts on a small cookie sheet in a 350 oven for approximately 15 minutes. Cool a bit and chop. Combine and Mix: Add the dry ingredients (the first five ingredients) to a medium bowl and stir with a whisk to break up any lumps. Shape the Scones: Line a sheet pan with a piece of parchment. Sprinkle a little almond flour over the surface. Turn out the dough for the scones onto the parchment and sprinkle the surface with granulated sweetener (Sukrin :1, Swerve granulated, or erythritol). Gently pat or roll the dough into a circle or a rectangle of 1/2- 3/4 inch thickness. Cut into 12 pieces. Gently lift each piece with a spatula and place it in its own spot on the parchment. Bake for 15-18 minutes. Remove to a rack and cool completely. Maple Glaze: Put the butter and cream cheese into a small microwaveable bowl. Microwave for 30 seconds and stir with a fork until completely combined and there are no lumps. Return to the microwave if needed. (There will be tiny pieces of cream cheese that don't melt, it's okay.) Add the sugar-free pancake syrup and stir, then the 3 tablespoons of sweetener. If the glaze is really thick, warm it up again. 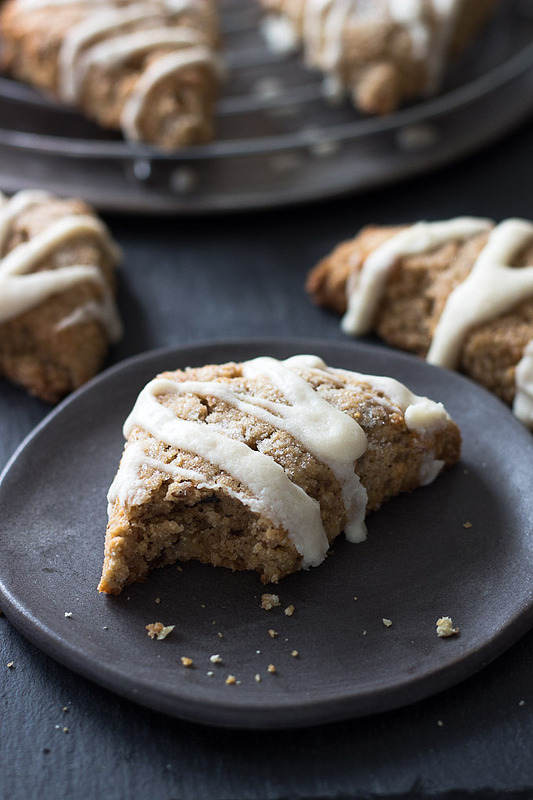 Drizzle over the maple walnut scones with the fork or a spoon. Hi Carmen: I only used 1 tbsp of the coconut mixture. I made a larger amount of the mixture, in equal thirds, and kept the rest for future batches. These scones were very good, but I made a few changes. I chose to add 1 tbsp. of mixed, coarsely ground unsweetened coconut, pecans and sliced almonds for that “oatmeal” feel. I added 2 tbsp. of coconut flour to give the dough a firmer structure and then I used a round cookie cutter to cut out the individual scones and baked them for 18 minutes until golden. They were very easy to pop out of the cutters. The scones had a nice “scone” texture and were drier like a scone made with pastry flour. It would have been easy to cut them into whatever shape was desired, square, rectangular or free hand. My husband loves the maple taste, he’s from Quebec. Hi Betty-I’m just learning to bake and wanted to clarify that it’s 1 tbsp. EACH of mixed, coarsely ground unsweetened coconut, pecans and sliced almonds (may sound silly but I had to ask!) Thank you! I’ll be trying the recipe for my son today or tomorrow so I’ll rate the recipe then, Kim, and ty for your work!! Can I use Lakanto monk fruit sweetner instead of the Sukrin? Asking ’cause I have Lakanto already but not Sukrin. Thanks! Hi there, these look amazing and I can’t wait to try them. Can they be frozen (unglazed?) Mom of 4 boys and I would love to have these on hand for ‘those mornings. I had some cranberries that needed to be used so I used this as a base for cranberry scones. Just didn’t use walnuts, maple, or pancake syrup. They came out great. Flavor and sweetness was on point. I really enjoyed them. The middle reminded me of an underbaked cookie, so I might bake them at a higher temp for a little longer next time, but it could just be my oven. You mentioned that you miss the coarse oat texture in the maple-walnut scones, and I wanted to offer a possible solution: pecans, coconut, and sliced almonds all coarsly ground to about the size of oats. I happened to make an oatmeal cookie from another site that called for shredded coconut & sliced almonds and had the inspiration to add pecans as well after having them in a Keto oatmeal recipe. It is remarkable how much the combination seems like oats! (This was before I saw your oatmeal cookie recipe, which I plan to make very soon!) I’m not sure exactly how much you would add, but I would imagine you could just add a small amount to give it the texture you are missing. Thanks so much for all you do! Hi Kim! Just wanted to add my praise to the chorus. I made your scones this morning and they are divine. 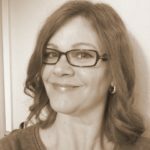 I love your blog for the reliable recipes, to be sure, but also because you seem like such a lovely person. Thanks for your hard work! These are seriously fantastic! I made some scones for my family & wanted some for me, too. I happened upon this recipe & am so thankful I did. I think I may like them more than the flour/sugar counterparts I made for everyone else. My glaze turned out a bit runny & clumpy, so I just used my immersion blender for about 30 seconds & it became smooth & thick. Will definitely make these again. Thanks! My husband sent me this recipe since I’ve been craving a sweet pastry. I about hit the floor on my first bite! Excited for my husband to try it! Great recipe and it will definitely become a staple in our home! Fabulous! I fell in love with scones twenty years ago. Always a little disappointed with the Keto scones I’ve tried. Not disappointed this time. 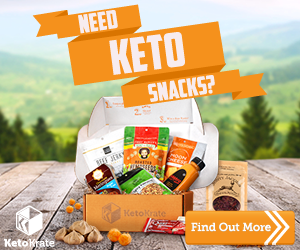 I even made my husband try these and he agreed they were good ( skeptical of anything Keto). Hi, Kim. Your recipes are amazing. 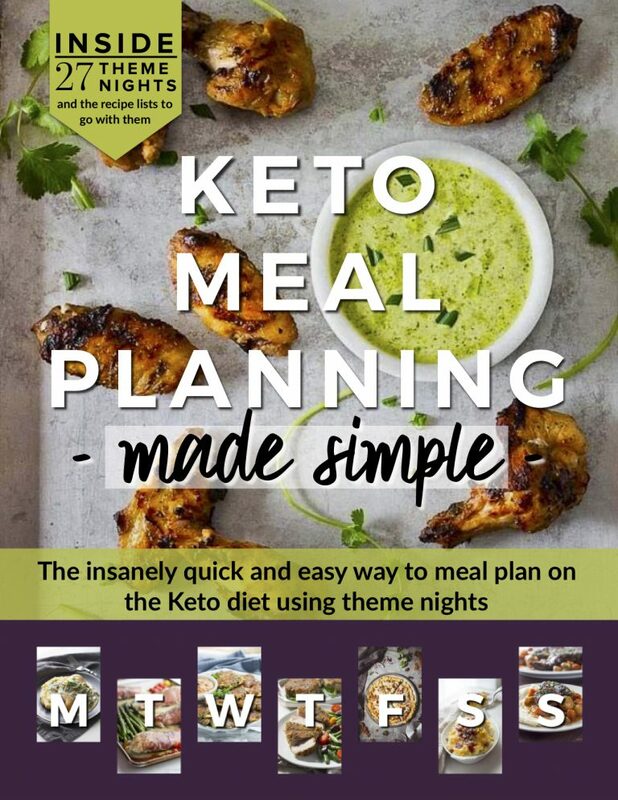 I am new to the Ketogenic/low carb lifestyle. I was worried I would have to give up bread, muffins and pancakes forever. But your blog, and others like it, have been a lifesaver. Thank you. You mentioned you use MasterCook for the nutrition analysis. Does this software or app also produce the Nutrition Facts box you have at the end of each of your recipes? I bake gluten free muffins and brownies that I sell at our farmers market and need to print the Nutrition Facts box on the labels. Thanks again. Thanks for the info. I’ll check them out. And I have to say, the Maple Walnut Scones are just as good the second day as they were the first. Made these for breakfast tomorrow morning and snuck a piece with clotted cream. Soooo Gooood!!!! Thank you for this wonderful recipe! I plan to add this the regular rotation for Saturday morning. I am excited to try these as I really miss yummy scones with my coffee! One question about the stevia glycerite…cannot find locally. Can I use a couple drops of glycerine and round out the half teaspoon with regular stevia drops? I typically make a new recipe exactly as written, but don’t want to wait for online delivery. Made these today. They are delicious! These are delicious and I’m on my third batch! I did want to mention that I measure by grams and you listed 113 grams for 1/4 butter. I wasn’t paying attention and just used the gram amount which made them almost a batter. I just added a bit more almond flour and chilled before cutting. The extra butter gave them a nice flavor. 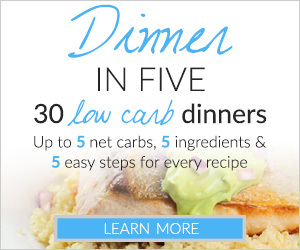 Thanks for creating such fun recipes for all of us who follow low carb lifestyles. This sounds too hard to make. Someone make for me please. why do you have to use 3 different expensive low carb sweeteners? Can you please explain to me how each scone could possibly be 3 net carbs? I adapted your recipe and took our all things related to maple and walnut and instead made earl grey scones. When calculating everything I saw that each scone (out of a yield of 12) was 7.5g of carbs. I’m so confused, please clarify! Thanks! Made these scones tonight – they were absolutely delicious (and do not taste low-carb AT ALL!!) Just two microscopic things to maybe change about the instructions. Re “Pour the dough…” This was confusing, since it’s a pretty solid dough – I wondered for a moment if I had missed a liquid ingredient that would have made it pourable. Then realized the consistency was correct based on the following step. Maybe it should say “Turn out the dough…”? Also, under the step Shape the scones. Maybe also slightly round the top edges after cutting into the individual wedges? At least when I did it, the edges even after baking were pretty sharp, so a little less-scone looking. Next time I’ll round them a bit with my fingers. Anyway, this is a GREAT recipe – thank you!!! I have made these scones twice now and am on my third batch today. They are so delicious. Thank you for sharing the recipe! Ok so I actually made these – and they are delicious. I did add 1/8 teaspoon of xantham gum because I was worried about crumbling, and I think this was the right thing. Straight out of the oven (semi cooled) they were soft and light and surprisingly scone like. The flavour was fabulous and I only used 25g xylitol and 25g natvia. The next day they were a little more crumbly but still delicious. Thank you. Kim. your 7th ingredient say 1/4 cup….but of what????? This look AMAZING. Want to try them as soon as I find out the secret ingredient. I’m totally trying these. My ultimate Starbucks fave! Kim, these look absolutely wonderful! I am especially in awe of the maple glaze. We’re so making maple walnut scones here in London. I am so ready for fall flavors! These look delicious! These look fantastic, Kim! I love walnuts!